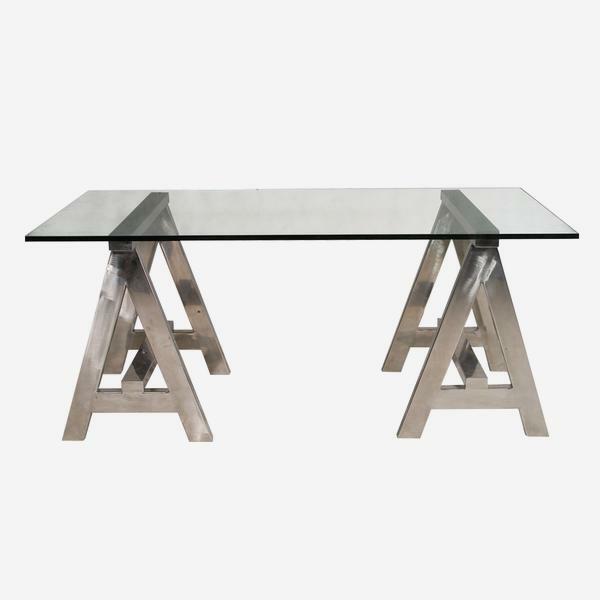 A clear, glass top desk with a striking, polished steel A-frame. The strong, geometric legs take centre stage in this design, the glass top only adding to the modern look. A-Frame is clean and versatile, the modern injection into a classical, neutral interiors scheme or the companion to other bold, contemporary furniture.